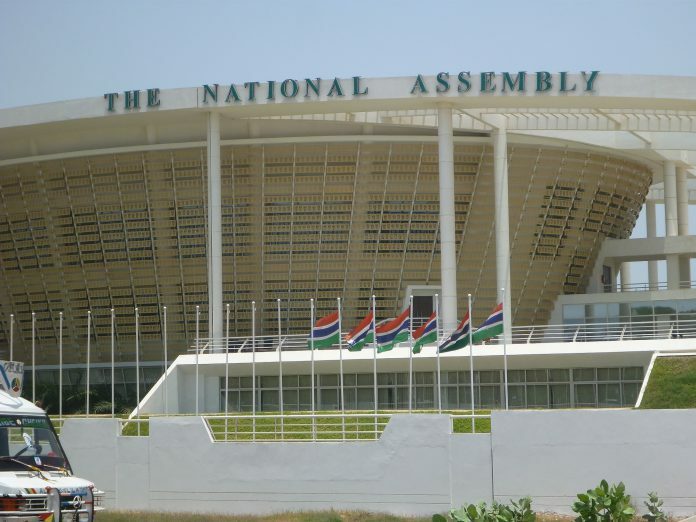 Who Qualifies To Be My National Assembly Member ? And What Should He/she Do When Elected? Part 1. WHO SHOULD MY NAM BE? Our elected officials are not our “BOSSES”, rather they are our servants. Therefore we set the rules from recruitment to employment and tasked them with TOR. With that being said, my employee cannot be my boss. I am not a type, who place so much emphasis on the level of education for anyone aspiring for a public office, because seeking public office is ones birth right and a right guaranteed by our constitution. A right that should always be respected, protected and defended by all citizens and at all times. However, I am obliged by my own conviction to opinionate the must ideal candidate who best fits my prescriptions or qualifications for such tasks anytime the need arises. These are always the first guiding steps I took in gauging my choices anytime i am offer a chance to exercise my constitutional franchise, to choose who should represent me in any given elections; being Presidential, Parliamentary or local council. My vote is my choice and my decision to chose who best qualifies to represent me, are at all times squarely mine and I am compelled to always own up to any consequences of such decisions. In under six weeks, we are returning back to the polls after our recent historic December 1st Presidential election that ushered in a New Gambia. April 6th is yet another very important election rendez vous, if not the most important election in our quest for a Just society, and a new Gambia that will reset our trajectory from an unfortunate two decades tragedy of everything evil, undemocratic and above all everything alien of a civilized human society. National Assembly elections are an opportunity for every demographic contituents to send in their convoys to this very important arm of government. The National Assembly is not only a building to harbour it’s members (NAMs) but an arm of the government established by our constitution to hold a critical balance of power in governance, thus establishing a true republican values of separation of state powers. Legislative powers are squarely vested on the NA, likewise the powers to scrutinize and ratify policies and treaties formulated or entered by the Executive. They are also the only body that approves and disapproves budgets for the government. It is this august body that holds the powers to enforce those rightful checks and balances in any governance by holding the powers to remove any sitting president if he is found to be wanting, inconsistent and not in variance with the dictates of the constitution. They can invoke the impeachment provision and act according to the powers vested on them. With the above being said, i therefore believed that for anyone to qualify my pick for a NAM, He/She should command that high sense of responsibility and possess the following virtues as a quality to represent me; humility, honesty, trustworthiness, dedication to duty, compassion and love for country first. These ideal virtues has to be coupled with the ability to be a critical and analytical thinker, a rational minded person and a committed team player in ensuring and upholding the republican values of country first before anything else. He/She should be selfless and someone who truly debunked self aggrandishment of all sorts, someone who wont allow his status as my NAM to attract favors and personal benefits other than the set renumeration that is accorded to him by the office of a NAM. My NAM should at all times showcase the true reflection of the people he/she represent, therefore he should at all times revered the people as his/her true employer and not his/her political gods. The needs and aspirations for the development and advancement of his constituency and the nations at large should always serve as his/her preoccupation. With the above description of qualities found on anyone irrespective of who you are? Which ticket you vye for? Which village, tribe or religion you came from? That person is WHO SHOULD BE MY NAM. These are my basic guides in making my choice and I pray to my God to grant me the wisdom in making the right choice. Part 2. WHAT SHOULD MY NAM DO WHEN ELECTED TO THE HOUSE? I would love to see my NAM pursue legislatures that will help protect my environment from any industrial minings and under stringent rules that the locals should get a fair share of the mines from their own backyards. Kombo south being the biggest local fishing catchment in the country, legislations should be in place to plough back the economic ramifications gained from those fishing coastline villages.